227's YouTube Chili' ABC News (Jamaal Al-Din TV) Spicy' NBA Mix! Firefighters declared success Tuesday morning in an over 12-hour battle to extinguish an inferno engulfing Paris’ iconic Notre Dame cathedral that claimed its spire and roof, but spared its bell towers. 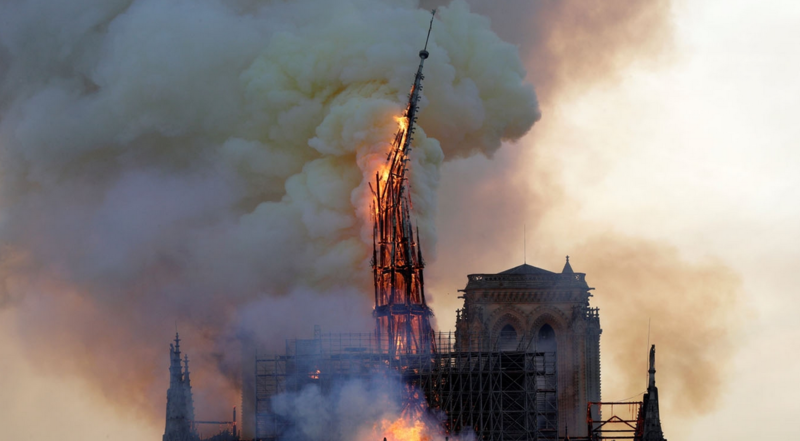 The historic Notre Dame Cathedral spire collapsed as the building was engulfed in flames after a fire broke out Monday.